Suitable sports equipment such as running shoes or racquets are important to minimise the risk of sports injuries and maximise the performance. Each runner has a slightly different foot mechanical features and requires a different type of shoe to suit the runner’s need. Choosing the correct shoe that matches the athlete’s mechanical features contributes to optimise the foot function. 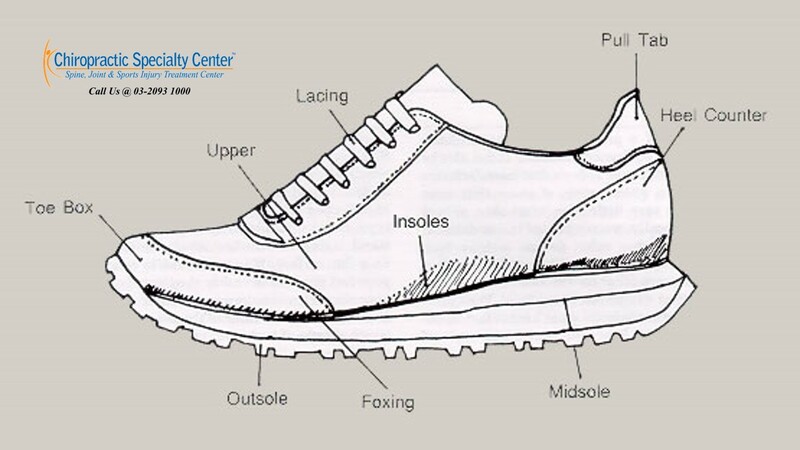 The heel counter, the upper rear part of the shoe should be rigid to provide rear foot stability. The rear foot may be injured easily if the heel counter fails to provide adequate support. The flexibility of the forefoot is needed to allow easy foot motion during toe-off. The calf muscles may be overworked to plantar-flex the foot during propulsion if the sole of the shoe is too rigid. 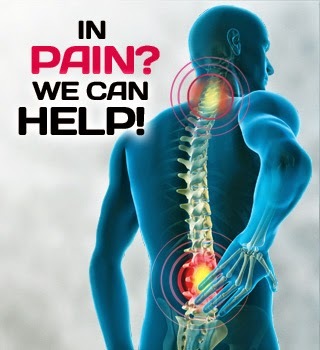 This may lead to early fatigue of the calf muscles and result in tightness and pain. However, athletes with metatarsalgia may want to consider a shoe with less flexibility in the forefoot as this may help to reduce the symptoms. The midsole contains the more complex shock-absorbing materials. 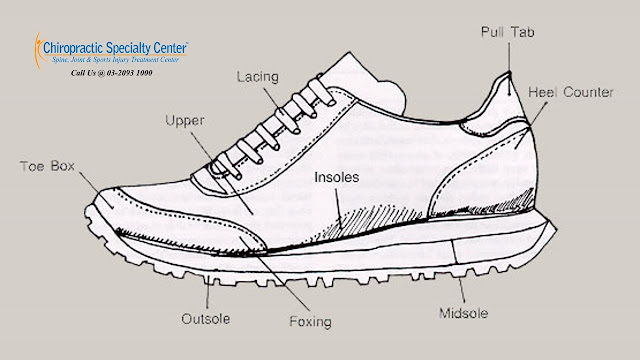 The density of the midsole should be appropriately soft or firm to suit the needs of the runner. A softer midsole allows excessive mobility and a firmer midsole provides a stable base and can be used for extended period of time. Runners who need to limit excessive foot motion should choose a dual density midsole with a firmer density on the inner side of the shoe. Runners who seek for extra shock absorption should go with a shoe with a softer midsole that still provide stability on both sides of the shoe. Flared midsoles that can cause rapid and excessive pronation of the foot should be avoided.